The China Academy of Art offers a range of degree and non-degree Chinese art, language and culture programs. The School also runs various short-term training courses in Chinese culture and art, where overseas students can enjoy the essence of oriental culture through studying both Chinese calligraphy and painting, and going on excursions. We offer individualized service to students from different countries, cultures and walks of life. 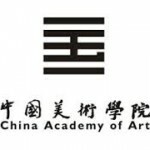 The Chinese Academy of Art also offers a Master's program.